Thai is Thailand’s official language, and there are a few tips to consider when travelling to Thailand. As the official language in Thailand, it is expected that travellers will have to learn a thing or two about the language in order to have a seamless journey as well as enjoy their stay in the beautiful country. There is nothing as frustrating as not been able to understand what one is trying to communicate, so it helps to learn the basics. 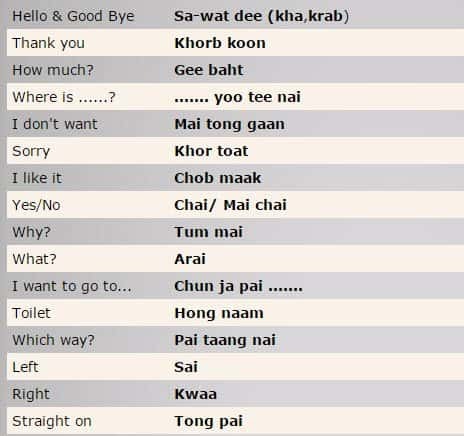 One of the basic things that one needs to consider is the tone of Thai words, simply because the language is a tonal language. Since it may not be possible to learn the language in its entirety, travellers are advised to learn basic words in Thai language as this will make getting from one place to another easily. 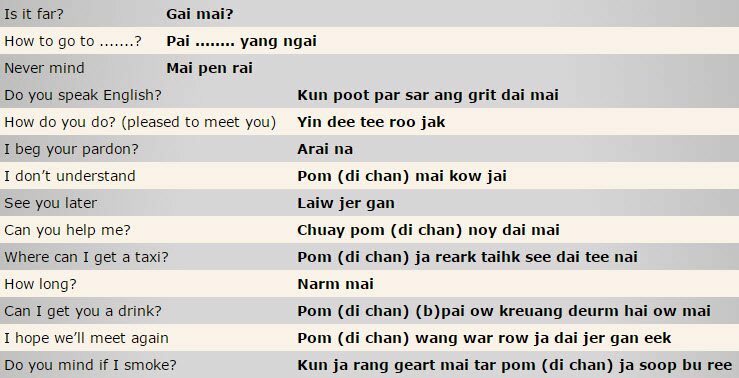 Interestingly, Thai has taken up a number of words from English so that they are easily adapted to the sound of the local language. 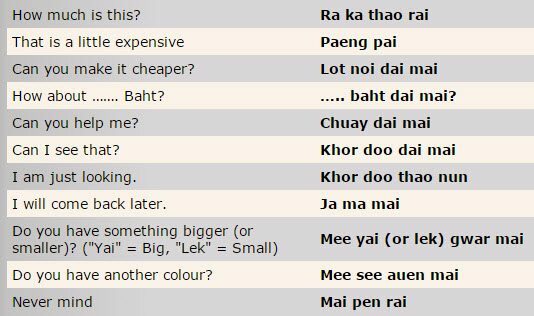 Shopping for instance, is referred to as chop-ping (because Thai language lacks ‘sh’ in its structure). In addition to learning basic words, it helps to know how to make relevant gestures while in Thailand. For travellers spending ample time in the country, it is advisable to learn the language, both to make travel easier as well as a respectful homage to the locals.